Frequently asked questions about PandaTree's tutoring service. How do I find the right tutor for my child? We're really picky about the tutors we hire, and we think you'll be impressed with them. You can read the profile of each tutor and choose the tutor you think your child will like best. Yes! You can change tutors at any time. We encourage your child to try different tutors over time. Getting comfortable having conversations with lots of different people is great preparation for real life. Since all our PandaTree tutors go through our rigorous testing we think you'll like any tutor you choose. Should I book 25 minute or 50 minute sessions? Younger kids generally prefer 25 minute sessions. Older kids often prefer a 50 minute sessions so they can get deeper into a discussion. If you are uncertain, start with a 25 minute sessions. Will I get reminders about my child's session? Yes. We'll send you an email reminder 2 days before and 20 minutes in advance of your child's session. You can also add your cell phone number to your profile to receive text alerts 20 minutes before your child's session starts. We know things come up. That's why you can cancel or reschedule a session up to 24 hours in advance with no charge. A credit for the cancelled session will be returned to your account. Within 24 hours regular fees will apply since your tutor will have reserved that time for your child. At PandaTree we want our customers to be happy! If you are unsatisfied with your child's PandaTree session for any reason, let us know within 7 days of their session, or before their next session (whichever is sooner), and we'll give you a full refund. Email us at customercare@pandatree.com. What if my tutor has to cancel? Skipping the session and getting a refund. Are unused session credits refundable? Yes, unused session credits are refundable and don’t expire. If you want to request a refund email us at customercare@pandatree.com with “Refund Request” in your email title. If unused credits are refunded, the amount of the refund will reflect what the price would have been for the actual number of sessions used. For example, if a parent bought a bundle of 3 sessions but only used 2 sessions, the refund amount would be the amount the parent paid less what the price would have been for purchasing just 2 sessions. See the Terms of Servicefor more details. What happens in a PandaTree session? Every PandaTree session is different and tailored to the interests and ability of your child. Often the session will start with the tutor and child catching up about what's going on in their lives. Next the tutor and child might play a quick game to review new words from the last session. The tutor will then introduce a topic of interest to your child, and share photos, short videos, or other materials to look at and talk about together. A few minutes before the end of the session your tutor will wrap up and review new words. What kinds of topics do tutors talk about with kids? What do the tutors do with the kids? Playing a game ­ like "20 questions"
After a session, the video recording of your child's session will be available in your parent hub for viewing for 7 days. You can also click through to your child's hub to see the list of new words they've been learning. Do your tutors follow a curriculum? No. We know many of our students are already studying a foreign language in a school or after school. We're all about giving kids a chance to practice using the language in a way that really stokes their appetite to learn more. If it's grammar drills you're after, there are other better services for you. If you want to help your child gain lifelong language speaking skills, you're in the right place. What kind of content do your tutors use? All our content has been licensed by PandaTree or developed exclusively for PandaTree, and has been reviewed by language experts. It is designed to spark an interesting discussion. Our content includes photo galleries, short video clips, games, songs, poems, skits/plays and more. Will the tutors help my child with their foreign language homework? Sure, if they need help. However, what we do best is help build conversation skills, and we're not an "answer service". Why are you focused on building conversation skills? We believe being able to have a real conversation with real people is the reason most of us learn a foreign language. Achieving fluency requires building new neural pathways, and that requires practice thinking and speaking. It doesn't hurt that we make the conversations fun and interesting for kids, which increases their engagement and motivation to learn. Through conversations your child can learn new things about topics they're interested in, and even hone their conversation skills. How does PandaTree compare to other websites and games for learning a language? There's lots of good websites that offer curriculum and games to help learn a language, and if your child likes them, that's great. For some children, it's easy to lose interest after a while especially if there isn't another human being involved. And there is nothing like having a real person gently and immediately correct your grammar or pronunciation to accelerate learning. How does PandaTree compare to language classes, in school or after school? We think languages classes are great, especially with an inspiring teacher. We find that many children (including our own) can use some extra speaking practice outside of the classroom. PandaTree can bolster your child's performance in class by improving their language proficiency and their confidence in speaking. How does PandaTree compare to an in-person tutor for my child? PandaTree offers you access to some of the best tutors in the world, regardless of location. PandaTree makes it easy to find qualified vetted tutors your child will like. PandaTree sessions are easy to schedule or reschedule to fit into your busy schedule. You can even keep up your sessions if your family is travelling. PandaTree makes it easy for you to see your child's progress, by viewing the content they've discussed and the words they've added to their word list. PandaTree tutors have access to a rich library of licensed and proprietary content to engage your child. Coming soon, your child can come back to the PandaTree site anytime to review the words they've learned and play games to reinforce their learning. If you've found PandaTree, you probably already understand all the amazing benefits to children from learning a foreign language. Studies show learning a foreign language while young can grow brain power, improve career prospects and even increase compassion. Will learning a foreign language undermine my child's native language abilities? No. There's lots of compelling research that shows it improves it. Learning a second (or third, or forth) language doesn't make kids confused, it makes them smarter. As early as possible! There are some great play-based programs out there for kids under five. We find that five or older is a good age to start with PandaTree because by then, kids usually have some computer skills and slightly longer attention spans. If you think your child younger than five is ready for PandaTree, reach out to us and we can talk. If my child is just having a conversation how will I know they are learning? Having conversations is the most natural way to learn a language. It's how babies learn! Just as parents do, our tutors will naturally add new words into the mix, and gently correct grammar and pronunciation. And every time your child practices speaking they're strengthening the neural pathways in their brain necessary for thinking-speaking fluency. After every session, you'll receive an email from PandaTree letting you know the topics your child discussed and the new words your child learned during the session. You and your child will be able track progress as the word list grows. And a video recording of your child's session will be archived for 7 days, so you're welcome to watch it if you like. Will my tutor rate my child? Coming soon, for parents who are interested, we'll offer access to standardized human-judged tests that will allow you to monitor your child's fluency progress. I'm still trying to figure it out. Is PandaTree supposed to be educational or fun? We think pandas are cute. We would love to hear from you. Just email us at customercare@pandatree.com or call us toll-free at 1-844-26PANDA (1-844-267-2632). I already have lessons booked during the Holiday Camp period. Can my child do the Holiday Camp instead? Yes! Go ahead and cancel the lessons you have currently scheduled at least 24 hours ahead and you’ll be credited for them. Then enroll your child in the Virtual Winter Camp, and book the lessons you want using the special “Book Holiday Camp Lesson” button at the top of your parent hub. What if I book a lesson and my child can’t attend? Will I get a credit back the way I do in regular lessons? The Holiday Camp is purchased as a package, rather than as credits. Students enrolled in the camp can do up to one lesson per day for the duration of the Camp (up to 14 lessons). Because of the special pricing offered for this program no credit or refund is offered for missed lessons, no shows or unused days. Can my preschooler participate in the Holiday Camp? Of course! Holiday Camp is open to all students. We recommend booking in advance as the availability of preschool tutors is somewhat more limited. We also offer discounts when you buy credits for multiple sessions. See our prices. Credits don’t expire and can be shared amongst your immediate family. You can pay for a PandaTree at the time you reserve a session for your child. Payment holds your time slot. Sessions can be canceled or rescheduled up to 24 hours in advance with no charge. Or, to take advantage of discounts you can buy credits for multiple sessions in advance and then use the credits as needed to book sessions. You can schedule sessions up to 12 weeks in advance. We hire tutors who have a mastery of their language, a love of helping kids and a friendly and engaging personality. While we hire from a variety of educational backgrounds, many of our tutors are working on their masters degrees, often in education. Some are already foreign language teachers. They're people you'd want to hang out with and talk to. How do I contact my child's tutor? For privacy and security purposes, all communication between the tutor and parent or child happens through the PandaTree platform. At the time of booking a session you can message your tutor by clicking on the "Send Note to Tutor" link. Email addresses and last names will be kept private. At PandaTree we're picky about the tutors we hire. Our tutors go through three to five interview rounds with PandaTree, including several practice tutoring sessions with real children. Our tutors are evaluated by managers with expertise in the tutor's language and in children's education. Finally, we check by email or by phone two references that the tutor has provided. My child is shy. Will PandaTree work for us? PandaTree is great for shy children. It gives them a chance to practice speaking in a private, comfortable setting with a supportive and encouraging tutor. Our tutors are great at putting the focus on a fun and interesting discussion to make your child feel comfortable. For some children it can take a few sessions for them to warm up and at first they may do more listening than speaking. This is natural, and there is still lots of learning going on as your child absorbs what the tutor is saying. My child is 5 years old and is a beginning learner. Will PandaTree work for us? My child doesn't like "kiddie" stuff anymore. Will PandaTree work for us? My child isn't very motivated to learn a foreign language. Will PandaTree work for us? We think the PandaTree experience will feel pretty different to your child than most other foreign language learning experiences. Our tutors are experts at engaging children's interests with topics they care about. Whether your child has a passion for cats or the best World Cup soccer moments, we've found most kids become motivated to express their point of view when its something they care about. My child has a short attention span. Will PandaTree work for us? Our tutors can cover several shorter topics and use a range of games, pictures, and short videos to keep your child engaged. Let your tutor know ahead of time if your child would prefer more frequent topic changes. Your child will be surprised how quickly 25 minutes can fly by. How do you protect my child's safety? All communication between the tutor and you or your child goes through the PandaTree platform. Your tutor won't know you or your child's last name, email address or home address. PandaTree sessions are recorded and available in your parent hub for 7 days. You'll be able to watch your child's session and let us know right away if you have any questions or concerns. Our tutor managers also occasionally review PandaTree sessions to provide coaching and feedback to our tutors. What if I have a question about safety or privacy? What equipment do we need for PandaTree sessions? The Google Chrome or Mozilla Firefox Internet browser. Safari or Internet Explorer or Edge browsers. There's nothing to download. Our proprietary PandaTree Live video platform session will launch directly in your Internet browser when you start your session. 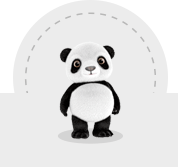 How does PandaTree work with Parental Controls? If you use Parental Controls, please add PandaTree.com to your list of trusted sites so your child can log into his or her account to start their session. What happens if the video freezes or drops? We know Internet connections aren't perfect. If the video call drops or freezes, usually it will start up again by itself and the session continues. If a session is severely impacted by technology issues let us know. If you're not happy with a session we will refund your money. How do I change the keyboard settings on my child's computer so they reflect Chinese or Spanish? How do I know if my child is ready for the PandaTree for Preschool program? If your child is 2 and older, and can sit with you for 25 minutes, he or she is likely ready. Research shows kids start to lose the ability to distinguish sounds outside their native language starting at less than 12 months, so getting early exposure to other languages is really helpful. We know young children have short attention spans and need to wiggle, and we’ve designed our program with that in mind. Not at all! You can learn along with your child, and have fun exploring the new language together. It’s great for kids to see their parents learning something new, too. Does my child have to know how to use a mouse or a computer to participate in the lessons? No. We’ve designed the Preschool Program for kids who don’t know how to use a mouse or a computer. And preschoolers are joined by a parent or adult caregiver for the full lesson who can provide help if needed. Does my child need to be reading to participate in this program? No. We’ve designed the PandaTree for Preschoolers program so that children don’t need to know how to read. For young language learners, the primary focus is always on listening and speaking. For children who are learning to read and write there are coloring pages you can download after each lesson to practice new words. My child is 5. Should they do the PandaTree for Preschoolers program or the Beginner Program? For a 5 year old child you have a choice. If your child can stay focused by him or herself for 25 minutes, is starting to read, and can use a mouse, they are welcome to do the Beginner Program. If you are unsure, start them in the Preschool program, accompanied by you, as an introduction. They can build on what they’ve learned later in the Beginner program. Lessons cover greetings, counting, colors, animals and more. We use singing, short animated videos, puppets, props, and physical games to make every lesson engaging. Each lesson builds on prior ones and is tailored to your child and his or her pace of learning. After completing the introductory series of ten lessons, your child earns an adorable Certificate of Completion. Woohoo! Who can attend the lesson with my preschooler? A parent or adult caregiver accompanies the preschooler in every lesson. It can be a parent, grandparent, close relative, or a regular babysitter. It should be someone the child is really comfortable with, who will be available to help reinforce learnings between lessons. What does the adult do during the lesson? We invite you to be a full participant in the lesson, whether you know the language or not. It’s helpful for your child to hear you join into the conversation, and you’re setting an example. If singing along isn’t your thing, we get it, but rest assured this isn’t America’s Got Talent and no one is judging. Why don’t all your tutors teach this program? All our tutors are amazing, but we’ve hand selected certain tutors to teach the PandaTree for Preschoolers program. They’ve had experience working with preschoolers, have received special training on the curriculum, and are equipped with the puppets and props to make lessons fun. How are preschooler lessons different from the lessons for older children? Well, for starters, we don’t usually use puppets with teenagers. We developed our Preschool program taking into account the unique ways in which youngsters learn. Toddlers love structure, so there is an opening and closing sequence that is the same for each lesson. Multiple topics are covered in short and engaging segments, and vocabulary builds from lesson to lesson. Frequent repetition occurs during each lesson, and from one lesson to the next. Tutors use puppets and props to connect words to real world objects. Oh, and we’ve built in a few fun surprises too. What if my child doesn’t say much during the first few lessons? That’s no problem. There is still a lot of listening and learning going on. We know some children need a while to warm up to new situations and others like to think a lot before they speak. We respect that! The lessons will also help you be your child’s language coach -- you’ll be able to sing songs and practice what you’re learning together between lessons. What if my child acts up during the lesson? All PandaTree for Preschoolers tutors are experienced in working with preschool children. They will adapt the lesson and activities on the fly to work with your child, making every effort to keep them engaged. We do recommend scheduling lessons at times when your child is well-rested and fed to prevent any unnecessary behavior disruptions. The end goal is for your child to have fun and enjoy the experience! Should I practice between lessons with my preschooler? Yes, we highly encourage it! You’ll be able to download the songs you learn in your lessons from your child’s Kid Hub. Save them on your smartphone and sing along at home or in the car. Download the coloring pages after each class for a fun way to reinforce new words. Incorporate the words you’re learning into your child’s daily life, every day. Greet each other in the morning. Count toys together. Talk about colors. Say hello to dogs at the park. Don’t worry about your pronunciation being perfect… that will come with time. Keep the practice fun, encouraging and joyful. That’s the best way to help your child develop a love of language learning. Will my child be fluent at the end of this program? Absolutely not. They’ll likely have learned to say a few words and understand a few more. Each child is different. Research shows starting foreign language learning as young as possible helps. The goal of the PandaTree for Preschoolers program is to make your young child’s first exposure to foreign languages a joyful experience, and be a solid foundation for their future learning. How is PandaTree’s Advanced Placement® Prep Program different than regular PandaTree lessons? PandaTree’s AP(R) Prep Program is designed for high school students who will be writing the College Board(R) Advanced Placement Spanish Language and Culture exam, or the Chinese Language and Culture exam, in May, 2019. The focus of the course is to help students practice for the exam with realistic exam questions and personalized feedback and coaching by AP-experienced tutors. The 25-minute lessons can be purchased as single lessons for $65 each, or as a subscription with weekly lessons for $160 for 4 weeks. The program is taught by AP-experienced tutors using a specially developed curriculum. Students will generally prepare and submit a practice exam question before each class. Can PandaTree’s regular lesson credits be used for the AP® Prep Program lessons? No. The pricing for this program is different from regular PandaTree lessons because of the unique test prep materials, the specialized experience of the tutors, and the extra time the tutors put into grading and commenting on the student’s work before and after the lesson. What typically happens before, during and after a lesson? Before lessons, students will typically prepare a test question and submit it to their tutor 24 hours in advance. Depending on the type of question, the prep work could take 5 to 50 minutes. The tutor will review the work in advance of the class and prepare feedback. During the class the student and tutor will review the assignment, the tutor will share detailed feedback, and student can make corrections with coaching from the tutor. As needed, they will discuss strategies for best answering that type of question and may do additional practice. After the class, the student can watch the video of the class for additional review and can practice any new vocabulary added to their personalized word list. Instead of completing a pre-assignment can the student get help with their own work? Yes. If a student wants coaching on a particular aspect of the AP(R) test or wants to review their own work, they can do so by submitting it to customercare@pandatree.com 24 hours in advance. Please remember to include the student and tutors names in the emailed submission. Of course, PandaTree is not an “answer service” and in the interest of student learning, will not make corrections to a student’s work, but will help identify areas to improve and coach a student as needed. What type of practice materials does PandaTree use during the lessons? With input from expert advisors, PandaTree has developed its own practice materials with questions similar to those that can be found on the AP(R) exam. PandaTree’s practice materials also simulate the test-taking modes for realistic practice. Students complete questions on the computer, record answers to their audio questions, and type (Chinese) or hand-write (Spanish) their answers to the writing prompts. Some PandaTree sample questions can be found here for Spanish and here for Chinese. Who picks the types of exam question to practice in a lesson? The student does, in consultation with their tutor. Many students will have an idea of the type of exam questions (listening, reading, writing, speaking) that are most difficult for them and may want extra practice in that area. We do recommend students get practice in all areas of the test, in a realistic, timed manner. Should we use the same tutor for every lesson? For test prep, it can help to get practice with different tutors for exposure to different speaking styles and different tips. How far in advance can I book lessons? If you are enrolled in the monthly program you may book weekly lessons through May 6th. The lessons do not need to be at the same day or time every week. Yes, you can reschedule or cancel a lesson up to 24 hours in advance. If you are enrolled in the subscription program, the lesson would need to be rescheduled for a different time during the same week. If I’m enrolled in the subscription program and I can’t make a lesson during the week will it roll over to the next week? No. The monthly subscription program allows students to do 1 lesson per week, and offers considerable savings compared to single lessons. To encourage students to get regular weekly practice (the best kind!) and to manage tutor capacity, missed or canceled lessons don’t roll over to the next week. If an enrolled student wants to complete extra lessons during a week, they can do so for an additional $40 each. You can read all the subscription program terms and conditions here. When does my subscription billing start and end? Your subscription package begins the day you purchase it, and is charged when you purchase it. Four weeks from that day, the credit card you put on file will be billed for the next four weeks. This automatic billing will be discontinued on May 5, 2019 or earlier if you end your subscription before then. If you wish to end your subscription, please send an email to customercare@pandatree.com at least 3 business days prior to your next automatic billing. Can I add extra lessons each week? How much are they? If your child is enrolled in the subscription program and you want to do more than 1 lesson per week, you may do so at a discounted rate of $40 per additional lesson. What if I purchase a subscription and my child doesn’t use it? Can I get a refund? Subscriptions are non-refundable. However, you can stop your subscription by sending an email to customercare@pandatree.com at least 3 business days prior to your next automatic billing. If you stop your subscription part way through a billing period, you will still be able to complete your lessons booked for that billing period. Your lessons scheduled for after your next monthly bill will be canceled. Do you guarantee that my child will pass their exam after using PandaTree? While PandaTree will do everything we can to help your child succeed, we cannot guarantee outcomes on the exam. I’m a teacher. Can I use PandaTree’s practice materials in my classroom? found here and the Chinese materials found here in your class. Just please don’t remove the copyright information. How can I learn more about the College Board Advanced Placement® exams? Or don’t hesitate to contact us at customercare@pandatree.com.